You can’t make a decision about whether or not to hire an attorney without knowing something about how a lawyer charges fees, and approximately how much your case might cost. Like any professional or businessman, a lawyer must be compensated for years of training and experience as well as expenses and office overhead. Rates for legal fees vary based on location, reputation of the law firm, experience of the individual lawyer, and the nature and complexity of your legal problem. Remember, when you engage the services of an attorney, you are essentially hiring an entire law office to work for you. When you’re shopping for legal services, always ask potential attorneys to fully explain their fees and billing practices. Don’t hesitate to ask detailed questions and don’t be embarrassed. A lawyer’s willingness to discuss fees is an important indicator of how he or she treats clients. Attorneys should be up-front about what they charge, what retainer they require and what your case (overall) is likely to cost. 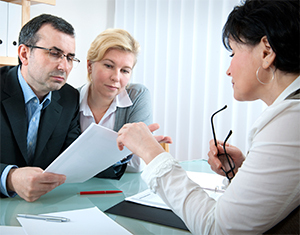 In addition to an attorney’s fees for his or her time, there might be other expenses and costs. Some of these could be such things as filing fees, photocopying, telephone calls, paralegal’s time, messengers, serving papers, witness fees, reasonable travel and transportation charges, etc. Ask about them as well; again, you don’t want any surprises. “Contingent” means that the attorney takes no fee from the client, but gets a percentage of the amount recovered (in New York, it is often around 33%) depending upon the amount recovered. Contingent fee arrangements are the norm in New York State when dealing with automobile and accident litigation, medical malpractice and other personal injury cases. If you lose, your lawyer doesn’t receive a fee. However, even if you lose, the client is responsible by law for all court costs, (such as filing fees), and the client must also reimburse the lawyer for any actual expenses paid out of office funds for items such as long distance telephone calls, hiring an investigator, medical reports, depositions, etc. Contingent fee arrangements are prohibited in criminal and most matrimonial cases. When a legal matter is simple and quite well defined, most lawyers typically charge a flat fee. Examples of flat fee matters include simple wills and estate matters, uncontested divorces and simple bankruptcy filings. If an attorney suggests or has advertised a flat fee, be sure to discuss what circumstances or situations may arise which may result in the charge of additional fees, such as court costs, expenses and filing fees, etc. Probably the key element in any fee charged by a lawyer is the amount of time spent on a particular case. For this reason most lawyers charge by the hour. Here, the attorney gets paid an agreed-upon hourly rate for the hours he or she works on your case until it’s resolved. This rate will depend on the circumstances of the case and the experience and reputation of the lawyer and his or her firm. Cheaper is not necessarily better when it comes to your legal protection. A more expensive lawyer with a lot of experience may be able to handle a complex problem more quickly. Also, an experienced attorney will be able to better estimate how many hours a particular matter will take to resolve and give you a more realistic estimate on what your total cost will be. There are several types of retainer fees. One is a yearly fee paid by a client (usually a large corporation, or wealthy individual) to ensure that the lawyer will be there if and when the client needs legal advice. The more common type of retainer fee is one that is essentially a down payment on the hourly rate for a specific case. The retainer is credited toward the overall cost of the legal services the lawyer performs.